The Phoenix Film Foundation and Phoenix Film Festival are thrilled to announce the start of a brand new festival. The Peoria Film Fest presented by the City of Peoria will be held October 19 to 21, 2018 at the Harkins Arrowhead Fountains 18 Theatre in Peoria, AZ. The event will be held over three days; screening a mix of independent and upcoming studio releases. The Peoria Film Fest is also excited to partner with the City of Peoria as the festival’s Presenting Partner of the event. 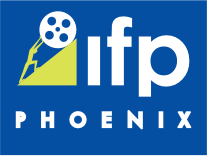 Here They Are -- the Official 2019 Phoenix Film Festival Posters!